Brand name Life in Motion™ laptop bag at the lowest cost sporting the quality features you would expect. Applications include business travelers, sales force, account executives, corporate gifts, giveaways. front flap with secure buckle closure, top carry handle and adjustable shoulder strap. 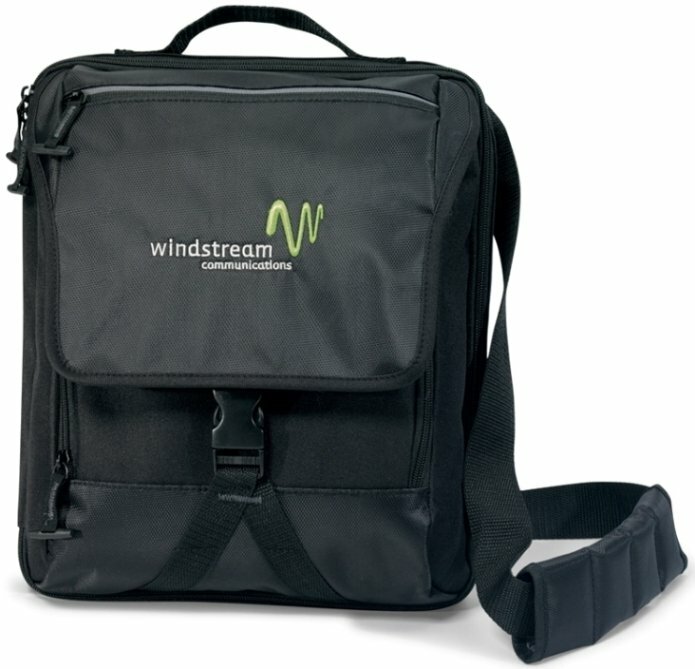 Overall size of the Netbook Vertical laptop bag is 11 1/4" w x 13 1/4" h x 2" d.
Price includes a one color imprint on the front in an area 6" w x 4" h.
and up to 7000 stitches in an area up to 3 1/32" diameter.